The Fish Family Foundation of Maine is a faith based charitable orginization located in Bangor, Maine. Founded in 2007, our mission is to provide resources for many initiatives including, but not limited to, missions, education scholarships, ministries, medical research, and employment creation. 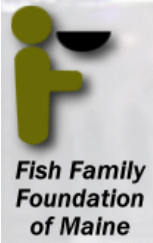 The Fish Family Foundation of Maine is primarily funded by the family. However, contributions from like minded individuals and organizations is appreciated. The Fish Family Foundation of Maine has a balanced strategy of making funds available for immediate needs, while also investing to build a prepetual earning endowment ensuring the Foundation's successful future.